In an interview with the CBC, in response to the news network’s previous story questioning the Big 3 ‘Fair for Canada’ campaign, Josh Blair, executive vice-president of human resources and chief corporate officer for Telus has said overall the marketing has been a success. The following interview was conducted last week, prior to the latest announcement Verizon is no longer interested in Canada. CBC NEWS: How do you think the campaign is going? Blair: When I step back and look at our broader campaign and all the broader vehicles, discussions, dialogues that are occurring, we’re seeing a lot of success overall in terms of the campaign. If you look at the two polls that have come out on the topic, both of them have said Canadians do want more competition, they would welcome foreign competition into Canada, and that’s Telus’s position also. But they also said interestingly that Canadians believe the spectrum auction should be fair. If you look at the Nanos poll, 81 per cent of Canadians said the spectrum auction shouldn’t favour foreign or domestic companies. And if you look at the Foreign Research poll, 65 per cent of Canadians said the auction shouldn’t favour foreign or domestic companies. So I think those are both pretty powerful third party assessments of what is the voice of Canadians on this issue. 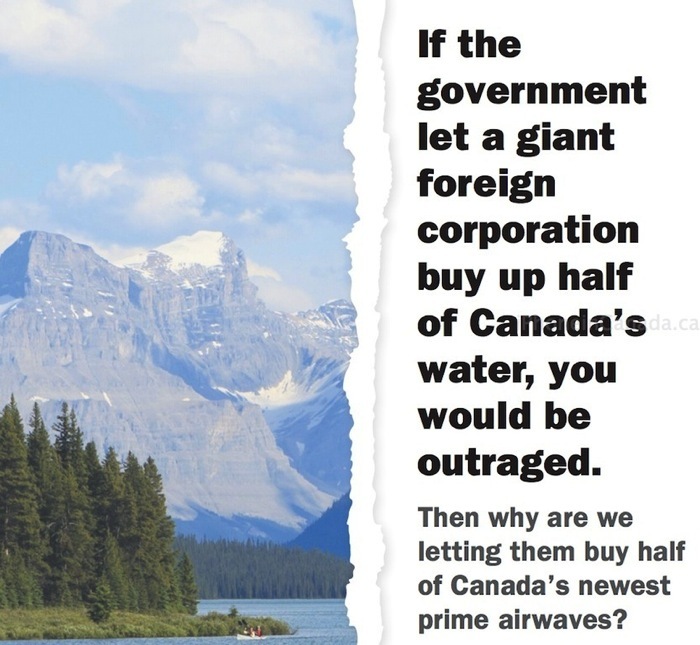 CBC News: Labelling the campaign Fair for Canada — I think there are some out there that might think this isn’t about Canada and about what’s fair for Canada. This is about what’s in the best interests for the Big 3. Blair: If you look at the positions we’re putting forward, we’re not putting positions forward that would just help Telus, Bell and Rogers. And I think you could then critique us if that was the case and say, “This is just about the Big 3, this isn’t about Canada.” But the positions we’re putting forward would also help SaskTel, they would help Videotron, they would help Eastlink, they help [MTS], companies like Public Mobile if they aren’t the ones to be gobbled up by Verizon. I think it shows we truly are putting forward a policy that says be fair to Canada and to foreign entities. But one understands why assumptions are formed too. CBC News: Does it surprise you that some people might be reacting negatively because they feel in the past they haven’t be treated well as customers and now you’re asking them for support? Blair: No. We’re eyes wide open on this at Telus. We explicitly know we’re not perfect. We know we need to get better. We know we have history that goes back decades of not having customers first as our number one mantra in the company. We’ve changed that at Telus over the past four years and we’re working hard on that. But to say that there are individuals out there who have had negative reaction, we fully understand. Great to hear. If the wireless firms follow up, and begin treating customers like something other than hostages, something might be gained from the summer of wireless discontent. If they return to believing their own propaganda, Canadians may soon be pleading with Verizon to rethink its position. With Verizon now out of the wireless picture, the stock prices of the Big 3 have rebounded this morning, with Rogers up 7.4%, Telus up 6.9% and Bell up 4.1%. 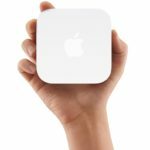 AirPort Express Goes Out Of Stock At Apple Retail Stores & Best Buy, Refresh Imminent?